The Royal Cornwall Museum is a magnificent granite building in River Street in the heart of Truro. It houses thousands of historical objects from Cornwall and the rest of the world. It’s also home to some of the county’s finest art collections. 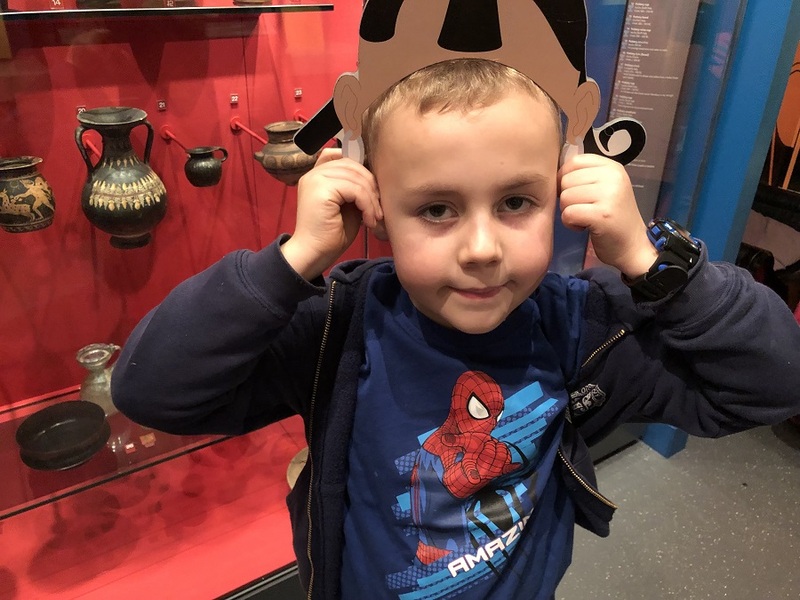 Grandson Sam happened to mention that his class was studying the Egyptians, so I suggested that we paid a visit as I knew it housed a permanent exhibition of ancient Greek, Roman and Egyptian culture, plus a very well-preserved mummy. 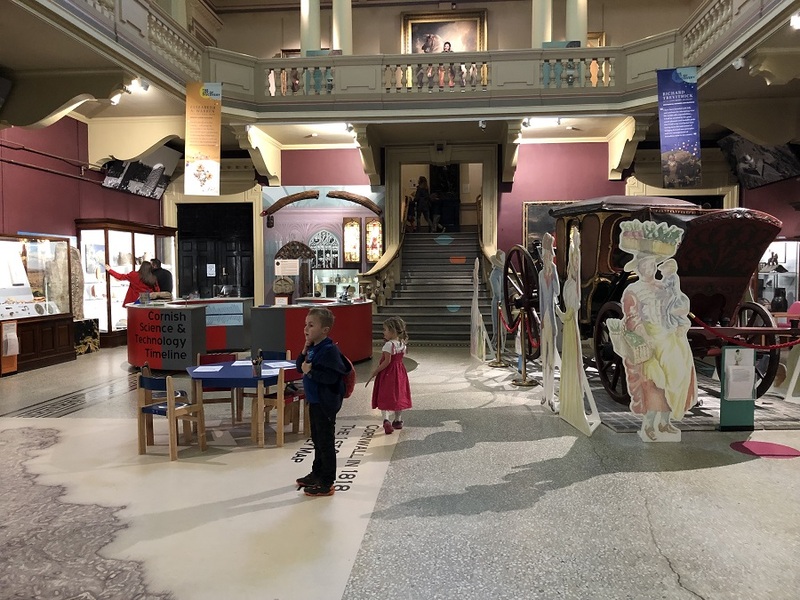 The museum is very child-friendly and there are numerous trails to follow and many interesting workshops and educational programmes. 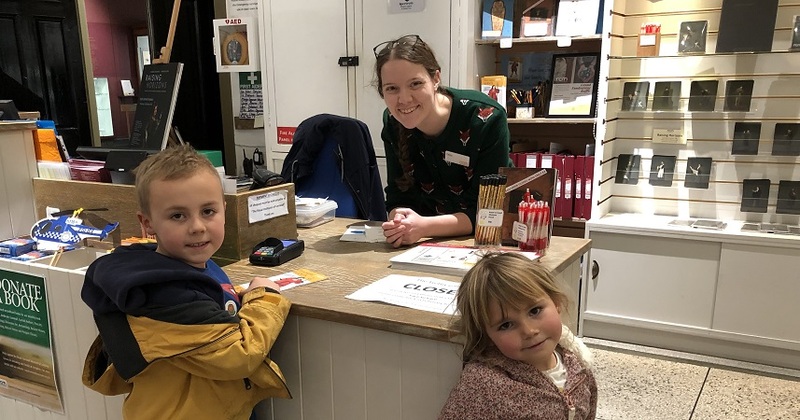 We popped in on a Saturday afternoon in January and the children were given an identification sheet to guide them around the museum’s significant treasures. Sam was desperate to head up to the Egyptian room and we spent a long time there learning about life in ancient Egypt and practising mummification! 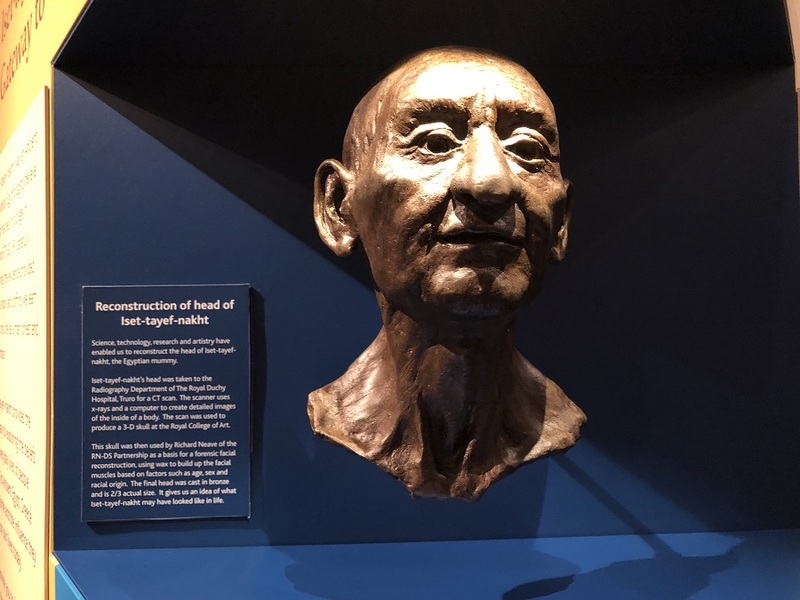 We were all fascinated by the reconstruction of the head of mummy, Iset-tayef-nakt, which was created by the radiography department of the Royal Cornwall Hospital in 2015. There were games to play, talks and music to listen to and dressing up clothes to encourage active participation by the children. After we had ‘done’ the Egyptians, we followed the Discovery Trail and worked our way around the exhibition halls, spotting significant artefacts from Cornish history and geology. We spent our final half hour in the natural history section. The children loved listening to the birdsong and solving the puzzles. The Museum is open seven days a week, 10am – 4.45pm. Entry is free for children and costs £5.50 for adults. It has an excellent cafe alongside and all the staff are very friendly and helpful. You can easily entertain the children here for half a day, so it’s a great option for a wet weather day. Based in the centre of Truro, it’s easily accessible by train or bus from Bosinver. If you prefer to drive, you can park in at the Tregurra Park and Ride as you approach the city and take the bus into Truro, which stops right outside the Museum.